LegaSystems had achieved the highest level of accreditation with the industry's most admired companies. Our strong working relationship with key technology partners allows us to bring our customers the most cutting edge innovative technologies. We believe that our partnerships are a reflection of our skills and values. As a result of our strong partner relationships we continue to learn new skills and bring our clients the most up to date business solutions. No other name in the industry says innovation like Microsoft. Since 1975 Microsoft has been the world's most renown software developer and the world's largest software manufacturer by sales volume. 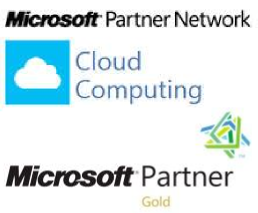 LegaSystems is recognized by Microsoft as a Gold and Cloud Partner reflecting our knowledge and expertise in cloud service offerings and hosting competence. Trust our experts to design and implement the cloud or hosting solution with reliability and convenience to meet your business needs. VMware is an American company and the largest virtualization software developer located in Palo Alto, California. It is known to be a prominent player in its field from the time of foundation in 1998. Cisco Systems, Inc. is the biggest networking equipment manufacturer in the world with a headquarters in San Jose, California. Its solutions are used in numerous governmental, corporate and educational networks in the world. Dell computer is one of the largest technological corporations in the world. Dell pioneers desktop and server hardware, networking gear and storage devices. LegaSystems Dell Direct partnership allows us to offer our clients the most advanced hardware solutions that best fit their server, storage, networking and virtualization needs. When it comes to providing worldwide VOIP connectivity no other vendor can provide the quality of communications and conferencing connectivity across continents like Interoute. Our partnership with Interoute allows us to offer our customers dial-in conferencing and audio/video conferencing for Unified Communications platforms second to none. LegaSystems in partnership with Voxbeam provides VOIP connectivity across the United States and Canada. Our Unified Communication equipment and expertise paired up with Voxbeam's DID and SIP termination offer our customers unique communications and conferencing solutions. With the recent growth of Internet based attacks on financial and government sectors network security had become ever more important for any enterprise. Rapid 7 is a world leader in network vulnerability and penetration testing solutions. LegaSystems partnership with Rapid7 gives our customers an edge in achieving security compliance standards and a peace of mind when it comes to network infrastructure security. Veeam offers an award winning product line of backup and disaster recovery products for VMWare and Hyper-V. Veeam's Backup & Replication product won "Product of Year" Gold Award of TechTarget in 2009, as well as "Best of Show" and "Best New Technology" awards at VMworld 2010. ManageEngine is an enterprise IT management division of Zoho Corporation. Founded in 1996 and formerly known as AdventNet, ManageEngine develops enterprise class asset management, auditing, compliance and monitoring software. ManageEngine offers more than 20 products for real-time IT management to over 60,000 customers worldwide. 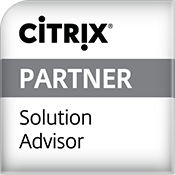 Citrix Systems, Inc. is an American multinational software company founded in 1989 that provides server, application and desktop virtualization, networking, software-as-a-service, and cloud computing technologies, including Xen open-source products. Juniper Networks, Inc. is an American manufacturer of networking equipment founded in 1996 by Pradeep Sindhu. It is headquartered in Sunnyvale, California, USA. The company designs and sells high-performance Internet Protocol network products and services. Juniper's main products include T-series, M-series, E-series, MX-series, and J-series families of routers, EX-series Ethernet switches and SRX-series security products. Proxim Wireless Corporation (OTC Markets: PRXM) provides Wi-Fi®, Point-to-Point and Point-to-Multipoint 4G wireless network technologies for wireless internet, video surveillance and backhaul applications. ORiNOCO® and Tsunami® product lines are sold to service providers, governments and enterprises with over 2 million devices shipped to over 250,000 customers in over 65 countries worldwide. Proxim is ISO 9001-2008 certified. Cybernetics is a storage and backup solutions manufacturer since 1978. The company is specializing in high performance disk, tape, and virtual tape technologies. It designs highly-scalable and customizable equipment that can meet the needs of any client.